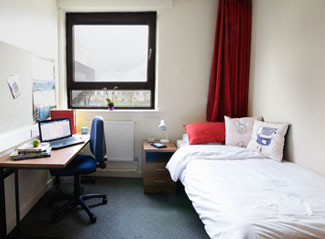 At Milton road campus we have purpose-built halls of residence located on campus. This means students staying within the halls are right on the doorstep for getting to their classes. With great transport links to Edinburgh and beyond it also can be an ideal base for students studying at other campuses, such as Midlothian campus which is just over a ten-minute train ride from Brunstane station two streets over from Milton Road campus. 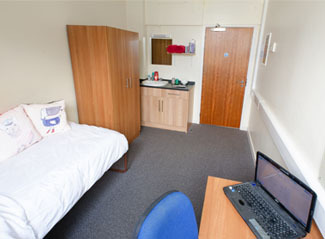 The Halls of residence has 18 en-suite rooms and 102 standard rooms. These can be booked for full-time students during term time. Students staying at the halls will find a wealth of shops and activities around the campus with Portobello Beach and Fort Kinnaird only a ten-minute walk away. In the halls, students also have areas to socialise with each other with a pool table, televisions, table football, and table tennis is available in the main reception areas. For those wanting to explore Scotland a little bit farther afield than Edinburgh, the new Borders Railway also means that the countryside is just a short train journey away. Closer to home in East Lothian are some great beaches and towns to explore.